If you’re willing to think outside of the box there are plenty more things you can do with hardwood floors than merely staining them. Have you considered painting your floors? If so, check out this guide first to ensure your hard work will really pay off. Before you get started there are a few things you need to check off your list first; clean, sand and prime. 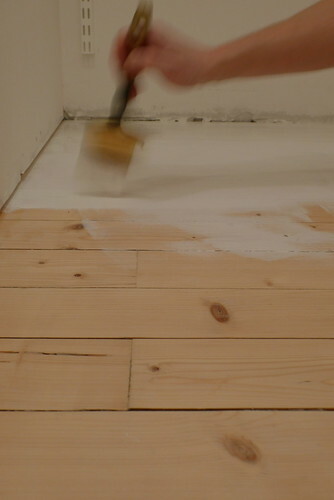 To make sure the paint goes on smoothly you first need to give your floor a good wash and vacuum. 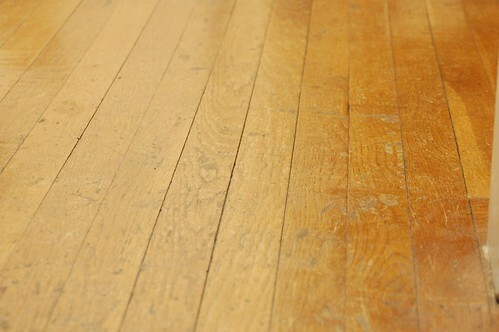 After cleaning your floor properly it needs to be sanded down and primed so that the paint will go on evenly. 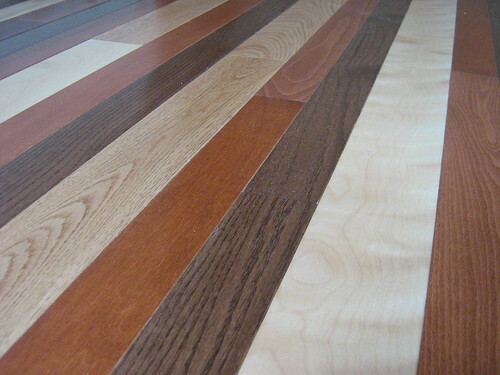 If you have some experience working with hardwood floors then by all means, go ahead with this stage of the project yourself. If you don’t however there’s no shame in hiring someone to get the nitty gritty work out of the way before you start the fix up process. After you’ve decided what colours will work well with the scheme of your room, it’s time to pick up the paintbrush! When buying your paint look for Farrow and Ball floor paint, a great option as it won’t need a sealer and is incredibly durable. 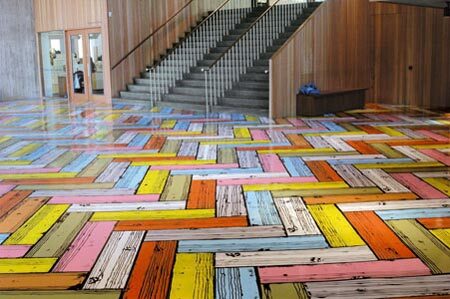 When deciding what kind of designs you want on your floor you can really go as far as your imagination takes you. If the furniture in that room is quite neutral then why not go for a more intricate and unique design on the flooring? Many people are painting their floors with a checker-board print. To get this design you’ll just need painting tape; paint the background colour first (the lighter shade), then lay down the tape in the pattern you want once it’s completely dry and paint the highlights. Other designs include painted-on rugs, broad or narrow stripes, zigzag stripes and large floral creations. If you’re not a very artsy person and your design requires more than some paint tape then you could paint the base colour first and use a stencil to help paint the design on top. Any other ideas? Tell me below! Estelle Page is an interior designer with a fondness for the homely quality of hardwood floors and wooden conservatories.